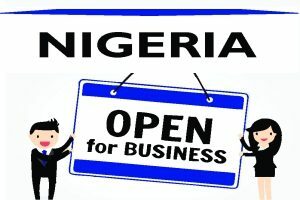 Business Disputes: 7 Ways You Can Reduce the Risks - Law Firm in Nigeria - Lawyers in Nigeria. 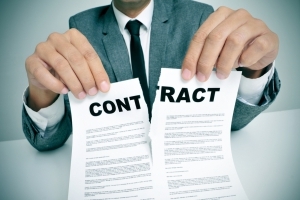 Contractual and commercial disputes can be disruptive, time wasting, costly and energy sapping, especially if such dispute get to Court. Minor squabbles can escalate and threaten customer/client-relationship and the survival of your business. Here’s how you can minimize the risk of business disputes. An engagement with a business lawyer is a cost-effective way to avoiding commercial disputes. A lawyer can advise you on credit sales issues, confidentiality issues, debt recovery, contract enforcement, risks and liabilities, payment terms and conditions, non-compete covenants, intellectual property protection, due diligence, regulatory compliance, employment issues, taxation, etc. Well worded written agreements drafted by a business lawyer can minimize the risk of disputes between customers/clients and vendors/service providers. Similarly, having bespoke agreements in place with employees, investors, shareholders or business partners can anticipate potential conflicts of interest and prevent them before they arise. ALSO READ: Why is getting help from a business lawyer so important? To avoid facing cash-flow and liquidity problems, you need to have an effective credit control system to check the creditworthiness and financial status of your customers/clients to protect your business from bad debts. A smart business lawyer can help you draw up a Credit Sales Instrument that will set out your standard payment terms including terms for maximum credit period, discount on quick payment, interest on late payments, retention of ownership of goods until full payment, debt recovery cost, dealing with overseas customers, etc. Also, get your customers/clients to provide personal guarantees, guarantors and references and to sign the Credit Sales Instrument before you offer credit. These will save you the headaches of chasing your money or even bad debts. A smart business lawyer can structure a business agreement or terms of trade that will limit your liability for damage or losses caused by your goods or services. This can save you from legal liabilities, court action for breach of contract or action for damages. You may want to consider having an insurance to cover your legal expenses as part of your strategy to managing costly disputes. To fulfil the terms of the contract, understand the contract details and ensure prompt delivery. Any mistake in honouring the contract details can become a ground for delay or refusal of payment by the customer. Get your customer to confirm the delivery order in writing. Obtain a signed acknowledgement of the goods/services delivered to the customer. Troubleshoot any problems that may arise promptly. A typical invoice should have a detailed description of the goods/services supplied; a reference to the order number; the agreed payment date (in line with the terms of trade); your full bank details and your business address. Sending invoices out late may send a wrong message to the customer/debtor. If the customer/client issues a dud cheque, ask for cash payment or a wire transfer. Keep the dud cheque as evidence for a possible criminal court proceeding. Disputes in business relations may be inevitable. You may be willing to sustain the relationship with customer/client, renegotiate an unfair deal, seek a mutual settlement or avoid costly costs and disruptions. Alternative dispute resolution (ADR) is the name given to the methods of dealing with disputes without going to the law court. ADR processes include negotiation, mediation and arbitration. ADR is a good way of dealing with disputes where the parties want to sustain the relationship. ADR is cheaper and quicker than court litigation. ADR processes are confidential and may be particularly useful in resolving disputes on matters involving trade secrets and industrial secrets. Commercial agreements prepared by your business lawyer should include dispute-resolution clauses, setting out how any dispute will be dealt with during the subsistence of the contractual relationship. For example, a Partnership Agreement may specify that any dispute arising amongst the parties shall be subjected to adjudication by an Arbitration Panel. The parties shall have the power to appoint members of the Panel. The decision reached by the Panel shall be final without any recourse to court litigation. This guide is intended to assist you in reducing your exposure to business disputes and it is for general informational purposes only and must not be construed as substitute for legal guidance. Whether you are just starting up, expanding your activities, or looking to establish a business, it is recommended that you seek proper professional help and legal guidance to avoid risks and legal liabilities. The permission given to freely copy this article is only on the condition that BARR. EDOABASI UDO is referenced and duly acknowledged as the Author using the following format: “This article was written by Barr. EdoAbasi Udo. View the original article at http://lexartifexllp.com/business-disputes/”. Note that any copyright infringement shall be punishable under applicable law.